Hawks House, Treraven, is the perfect romantic retreat, it is a lovingly restored and furnished, barn conversion with a huge fireplace housing a cosy, wood burning stove, amazing fixtures including large copper light shade, exposed beams, double height ceiling. All set in one of the most picturesque hidden valleys in Cornwall. Dog friendly with garden. A stunning renovation, completed in 2018, the owners have lovingly maintained many traditional features and the decor and furnishings are exemplary with tons of character being accentuated which leads to a spacious yet cosy cottage where you can almost feel the history of the building. Set in a valley with a 4 acre field, a pond and a burbling stream running past the bottom of the garden all surrounded by mature trees and shrubs. Your four legged friend will have plenty of space to burn off some steam in one of the most tranquil and secluded places you will ever visit, perfect for romantic getaways, unbelievable dog walking or an artists paradise! Hawks House is wonderfully located 10 miles inland from Crackington Haven which has pebbles and rock pools at the top of the beach but as the tide goes out a vast expanse of golden sand is exposed with some of the best surf on the north coast. To the north is Widemouth bay and the bustling tourist town of Bude while to the west is the stunning and infamous village Boscastle, nestled in a steep valley where the river has cut a way through the steep cliffs to the sea. There are secluded coves, majestic views, wildlife and even a blow hole. Exterior: There is a private parking space one car. There is a large shared garden to the front of the property and access to a large field to exercise your dogs. There is garden furniture and a barbecue. There is an outhouse with storage for coats and boots and wash down facilities for your dog. There are electric on demand radiators throughout. There is also a wood burning stove. The kitchen has a range of cupboards & work tops. There is an electric oven and hob, toaster, kettle and under counter fridge. Please note there is NO microwave, dishwasher or washing machine. The sitting room has a digital TV & DVD player. Electricity, heating, bed linen and towels are included but you will need to provide your own beach towels. There is parking available for 1 cars in the space provided. Regrettably there is no smoking. A maximum of 2 well behaved dogs may stay in the barn at a small additional price of £30 per dog per week, but dogs may not be left unattended in the property. Any day arrivals accepted between November and Easter. Hawks House is located 10 miles from Crackington Haven, which is included in the best surfing beaches in England and was recommended by the Marine Conservation Society in its Good Beach Guide. The scenery in the beach area of the surrounding majestic cliffs is almost un-rivalled. At high tide, the beach is a mass of quartz-veined pebbles and large boulders but at low tide, it reveals an expanse of sand and many rock pools. Only the road separates the sea from a couple of beach shops, two superb beach cafes and a public house with a restaurant and fantastic terrace. Fifteen minutes further up the coast is Bude, a popular tourist destination for both its surfing and fantastic family beaches in Widemouth Bay. The watchful eye of the RNLI lifeguards allows for some of the best surfing in the world alongside swimming and a whole host of water-based activities. Bude today is a lovely sea-side town, the main shopping streets and inter-connecting alleyways play host to a wide range of locally owned shops, restaurants and pubs. There are boutiques, shoes, arts & crafts, jewellery, hand-made gifts and souvenirs. A few miles inland is Bodmin Moor, one of Cornwall's designated Areas of Outstanding Natural Beauty. Cornwall at its wildest and rich in ancient history, Bodmin Moor stretches for 30 miles through the heart of the County of Cornwall and offers spectacular walking and horse riding. With easy access to the both the A30 and the Atlantic Highway you can quickly travel up and down the South-West to enjoy some of the larger tourist attractions that Devon and Cornwall have to offer. To the west lies the stunning and infamous village of Boscastle, it is a tiny port set in a narrow ravine, the town came into prominence recently as a result of terrible floods in the summer of 2004. In the village there is a pottery, a museum of witchcraft and several gift shops. A footpath to the left of the quayside will take you to the 'Lookout' which is a wonderful vantage point from which to view the rugged coastline. Boscastle was once a favourite meeting place of the author Thomas Hardy, and is the location for one of his novels 'A Pair of Blue Eyes'. Boat trips can be taken from the harbour as far as Long Island, where during the breeding season you may see razorbills, puffins & guillemots. There is a demanding 7 mile coastal path walk between Boscastle and Crackington Haven. There are several attractions along this stretch of coast including Strangles beach at the bottom of a large landslip with a rock arch the Northern Door. Just south of here is High Cliff which is the highest point on the Cornish coast path. Don't forget to visit Pentargon inlet which has an imposing waterfall that cascades down to the sea below. Brown Willy and Roughtor are two fantastic tors and excellent walks, being the highest points in Cornwall the views are stupendous. Bowithick is also worth a visit to marvel at it's quirky bridge and history that dates back to the Domesday book. On Bodmin Moor, Dozmary pond is thought to contain Arthur's Excalibur, and Merlin is thought to be still found walking under Tintagel Island. Camelford is a great centre for touring, walking, fishing, swimming or surfing holidays. The town is steeped in history and has excellent shopping and sporting facilities. Port Isaac is the location of the televisions series Poldark and more recently Doc Martin, as well as being a gorgeous working fishing village. Bodmin Jail built in 1778, notorious for its public executions by hanging, was the first jail to be built housing inmates in individual cells. The Jail closed in 1927 and is now a museum open to the public, which during the First World War housed the Crown Jewels and the Doomsday Book. The famous Camel Trail follows the route of the old railway along traffic free paths for 18 miles, providing the whole family with a fairly flat cycle through Bodmin and Wadebridge, and out to Padstow where you can sample Rick Steins famous Fish and Chips. The market town of Launceston was the historic capital of Cornwall and well worth a visit to see the church of St Mary Magdelene, with granite carvings, unusual among Cornish churches, the Norman Castle and a wide variety of independent shops and cafes. Guest from Stonehouse stayed for 4 nights. Wow! I was blown away by how wonderful this place is. Spotless & tastefully furnished & decorated. Truly a peaceful hideaway from the world set in glorious grounds, beautifully kept. Lots of information on things to do, where to eat etc. Perfect, thank you. Guest from Chichester stayed for 4 nights. The cottage is accessed via narrow lanes but we rarely met any traffic on them. The accommodation is in a newly upgraded stone cottage. The location is extremely quiet but may be too remote for some people. The wood burning stove was very welcome. The absence of a washing machine might be an issue for longer stays and a microwave would have been a useful addition but space probably prevents either. Owners live nearby and were very attentive and obliging without imposing.We thoroughly enjoyed our 4 night stay and would recommend it for a quiet break, away from it all, with no wifi! Guest from New Milton stayed for 7 nights. We chose this barn conversion because of its location, easy reach of the coast. Its a great beautifully executed barn conversion, whilst there is a property nearby there is privacy provided by the useful store/drying room. Whilst compact the property is stylish and well presented. The kitchen is small but adequate - no microwave and the fridge is a larder fridge with no freezer compartment, we didn't find this an issue as it wasn't too hot however it would have been in the warmer months - a relaxing drink with no ice I think not!! 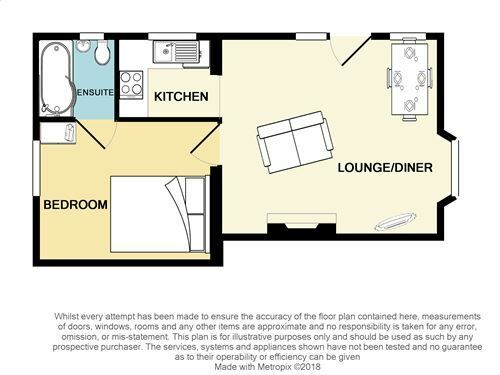 The only reason we didn't give Hawks House full marks for comfort was the lack of hanging space in the bedroom (hooks only, it needs a small wardrobe) and the lounge area could do with another comfy chair. Nevertheless we would recommend this property. Guest from Golborne stayed for 7 nights. A cosy dog friendly barn conversion. A charming dog friendly cottage in a small development a few miles inland from Boscastle and Tintagel this is a great location to explore the north Cornwall coast with miles of glorious sandy beaches and majestic headlands interspersed by secluded coves, and then return to your little cottage settle down on the patio, soaking up the evening sun above a babbling stream and enjoy a recuperative glass of your favourite tipple, the perfect end to the perfect day.